This book has a straightforward premise. It suggests that in years gone by visibility meant being seen where your business was based – such as a massive neon sign outside. 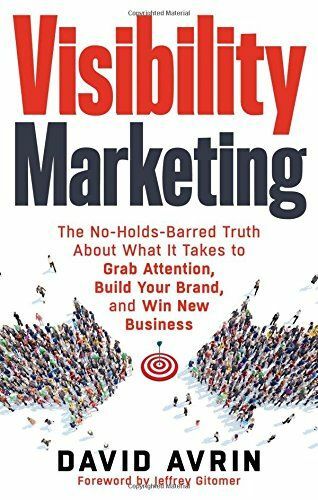 But, says this book, today’s visibility is about being seen where your customers are. Your business needs to be seen where they hang out, not where you are based. So, Visibility Marketing suggests that to be visible these days you need to be doing a whole host of online activities that get you noticed. The author claims that it is time for a reality check for many companies as the world is now littered with products and firms that have failed to make it, often simply through lack of visibility. The book has a nice conversational tone and you can almost hear the author speaking with you. You’ll discover in this book too what is claimed to be “the most profitable sales and marketing tactic by far”. I won’t destroy the suspense, but it is something that most businesses fail to do – even though it is obvious…! The book has plenty of examples and stories as well as exercises. It will stimulate you to reconsider your business marketing and help you manage the process within your company.